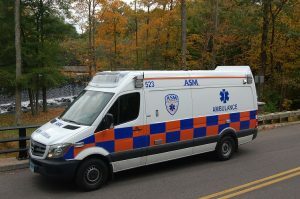 South Windsor – In early December, Ambulance Service of Manchester received an email containing a warm thank you for Paramedic Ryan McConville. The note, as depicted below, is in regards to a transport completed a few weeks prior. A few weeks ago I had back surgery and between not sleeping and the pain meds ..my daughter got nervous because I was groggy and called 911 ( as she should have)! I ended up being ok and things turned out fine. But I am writing about one of your paramedics, Ryan McConville. He went above and beyond to make sure I was physically and emotionally safe… once he assessed me and determined I was stable he spent time comforting me because I was upset over the misunderstanding. He was professional, extremely knowledgeable, and had a way about him that made a scary situation much less so for my family and myself. I will never forget his calmness and abilities. I felt like even though my call was not of a serious matter… I think he he treats each case as though they all matter…no matter how critical or not. When you are laying on that stretcher it is scary and important to you and to have a caregiver treat you as though you matter is priceless. People always write to complain but not as much to compliment. So I wanted to take a few minutes to let you know what an asset you have to your team. I will never forget his kindness and professionalism. 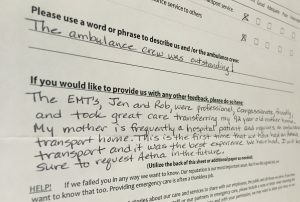 SOUTH WINDSOR – In early December, Aetna Ambulance received a hand written thank you letter addressed to Paramedic Ryan Gonska and EMT Cole Ashker. The note, as depicted below, is in regards to a transport completed a few days prior. Just a short note to express my appreciation for 2 of your employees [Ryan] and Cole. [They] picked me up [at a] walk-in clinic [and brought me] to St. Francis Hospital. They were very professional and kind. All around good guys. Thank you. 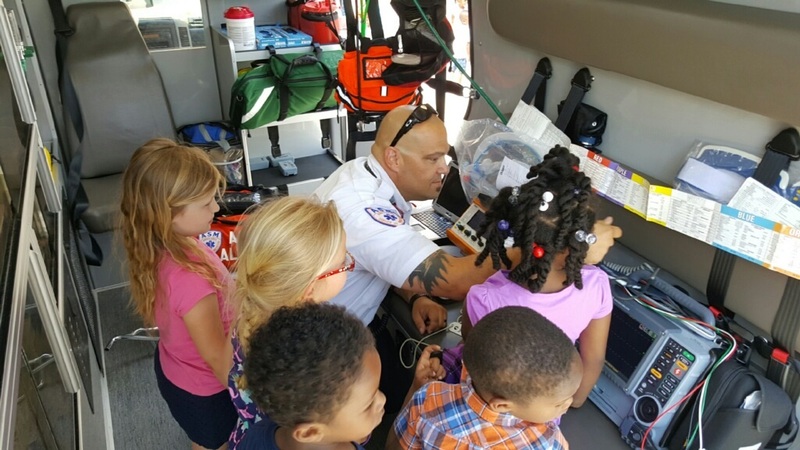 HARTFORD – On December 10, 2016, Aetna Ambulance received a letter from Hartford Hospital’s Management Team, regarding the exceptional actions of Paramedic, Nick Foran. 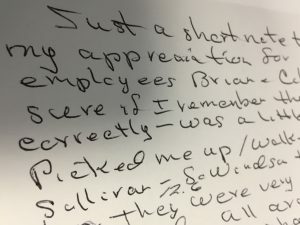 After noticing his kind gesture (depicted below), Karen Teixeira, a triage nurse, drafted a letter to the Hospital’s Management Team. 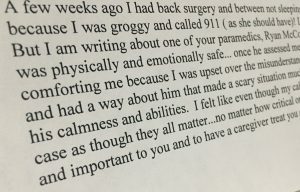 Her letter prompted an outpouring of gratitude and self reflection from Danette Alexander, Nurse Director of Emergency Services. Read both the letter and note below. A medic from Aetna brought in a homeless man tonight that was seen and released. Later, this medic came up to me asking where the patient was; I looked in the tracker and told him that it looked like the patient had been discharged. He was disappointed. He then told me that the patient was homeless and that all of his clothes were wet, especially his gloves. I noticed the pair of gloves in this medic’s hand. I asked him if they were for the patient, he said they were. I told him that he may be in the waiting room because we typically allow homeless patients to stay in the reception area if the weather is cold. He proceeded to look in the waiting room and found the patient. 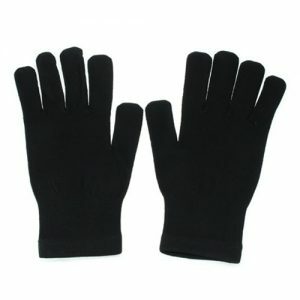 He was relieved that he was able to find the gentleman to give him a pair of dry gloves so that he wouldn’t get frost bite. I believe it is our mission: To help. To help in any way we can. It is not a little thing to allow the homeless a warm shelter—even for just a few hours. The empathy shown by this medic was not a little thing. I try to learn each day so I can be a better person. Not just for me or my family, not just for all of you but I try to be better so I can help those who need us most. Sometime it is overwhelming to look at all the people who need us. It is often daunting to the ED; the needs of all the service lines and the patients who makeup each of these patient populations. It is disheartening to listen to feedback from people that feel we fell short of their expectations. Yes, we can be better. There is always room for improvement (I am the first to admit that I can be better). But you need to know how proud I am of all of you and the work you do every day. Try not to be overwhelmed. We will help each patient. One at a time and do the best we can. Just keep looking at the one. We will be ok.
High Praise for Aetna Crew! The EMTs, Jen and Rob, were professional, compassionate, friendly, and took care of transferring my 92 year old mother home. My mother is frequently a hospital patient and requires an ambulance transport home. This is the first time that we have had an Aetna transport and it was the best experience we have had. I will be sure to request Aetna in the future.